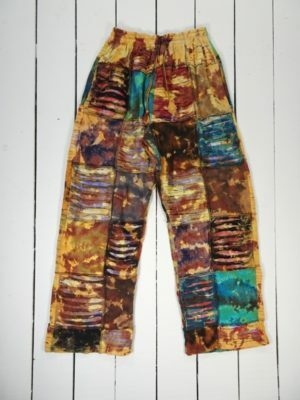 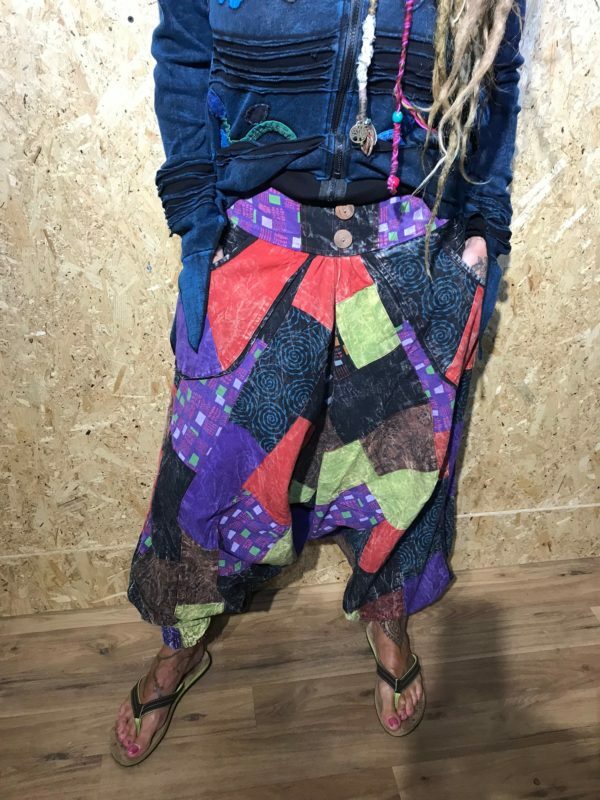 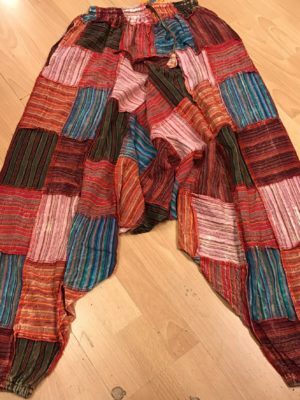 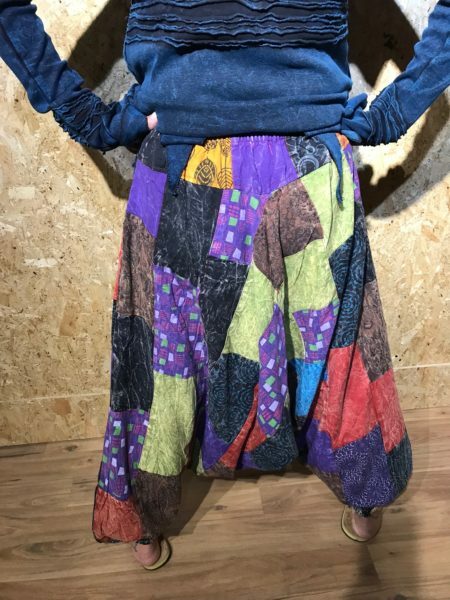 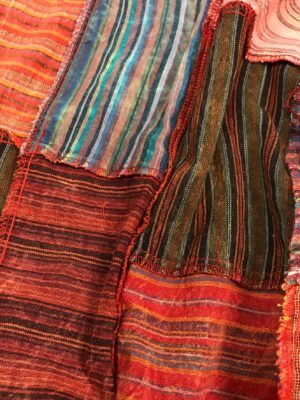 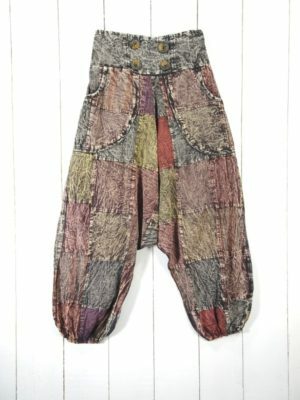 Nepalese Hemp-Cotton Patchwork Harem Pants. 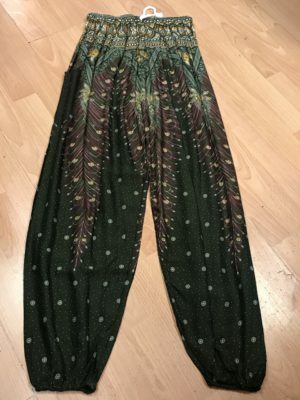 One Size fits all elastic waistband at the Back and elastic ankles. 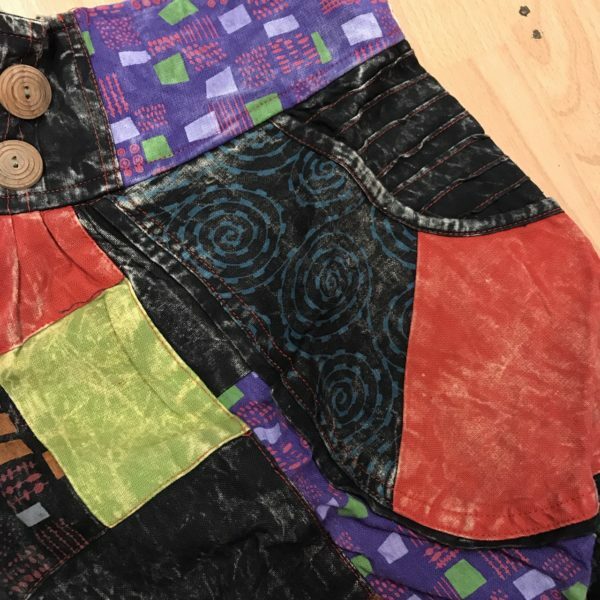 All have button Detail on the Waistband every pair unique in its makeup of patches.